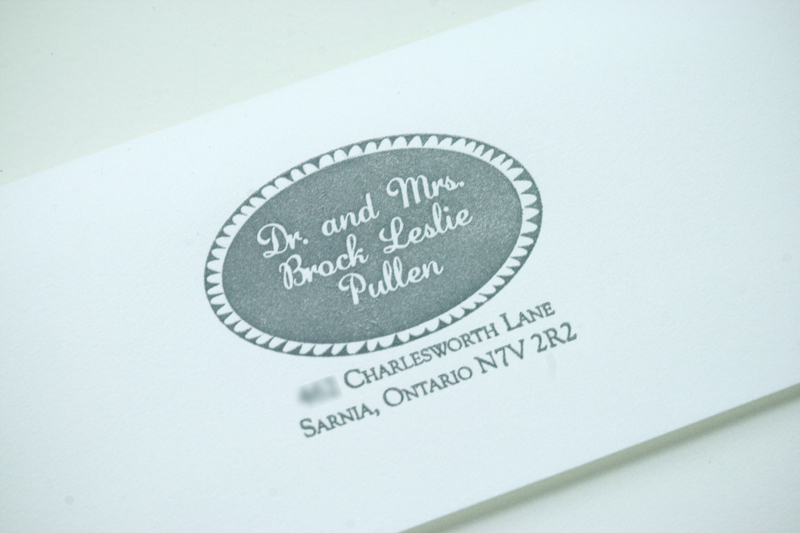 People often ask us if we can print in languages other than English. 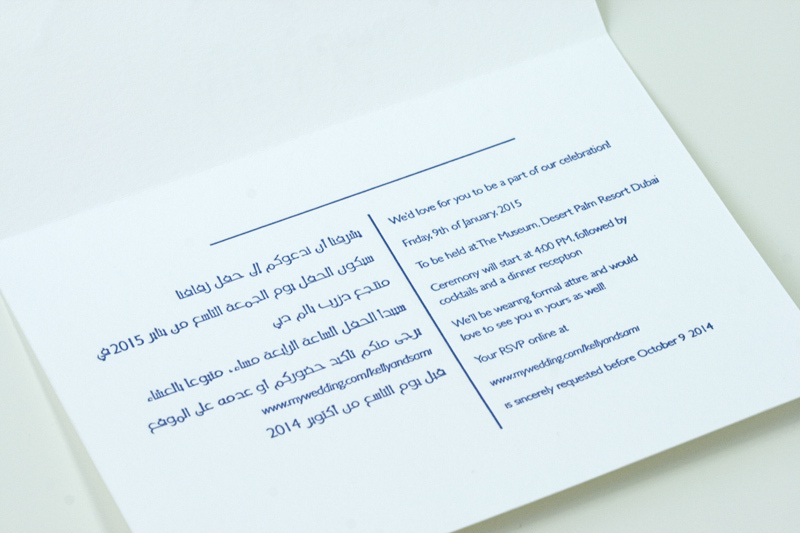 The answer is a resounding “YES”, as you can see with this English/Arabic wedding invitation. 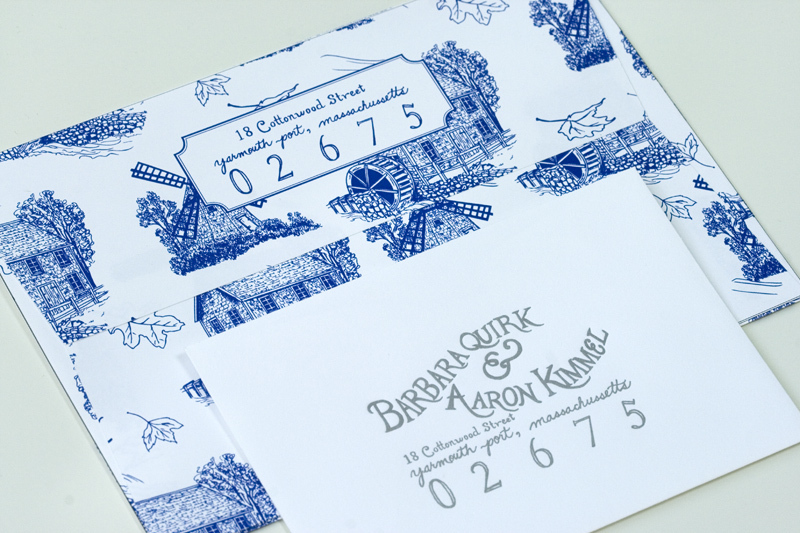 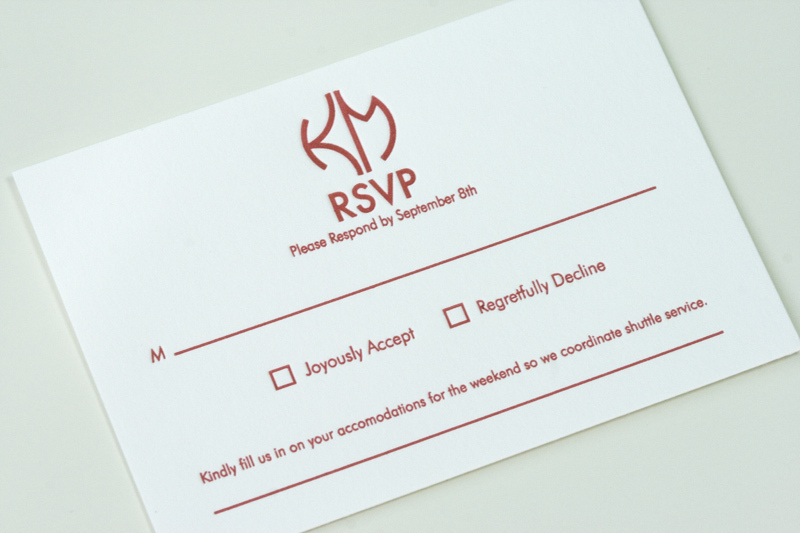 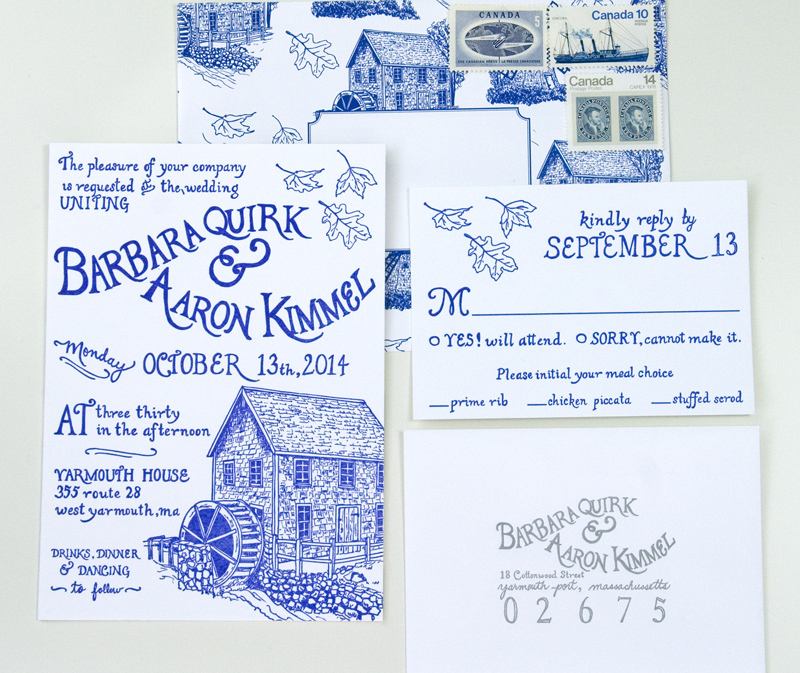 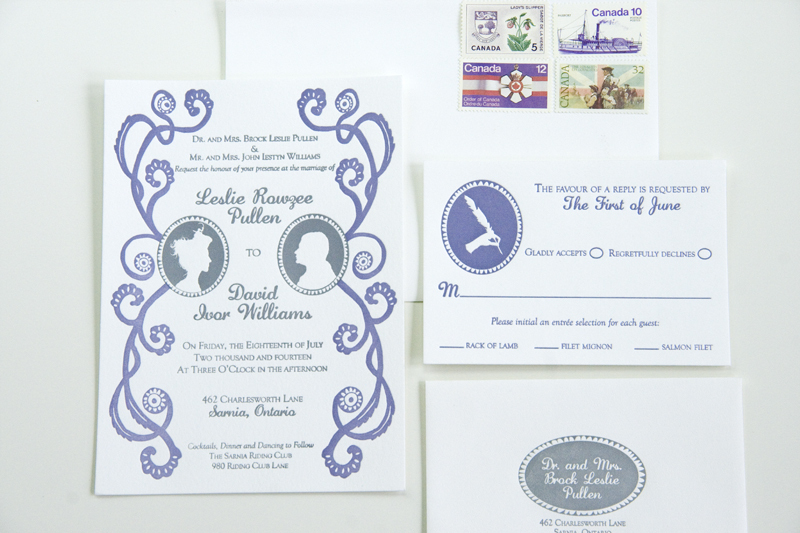 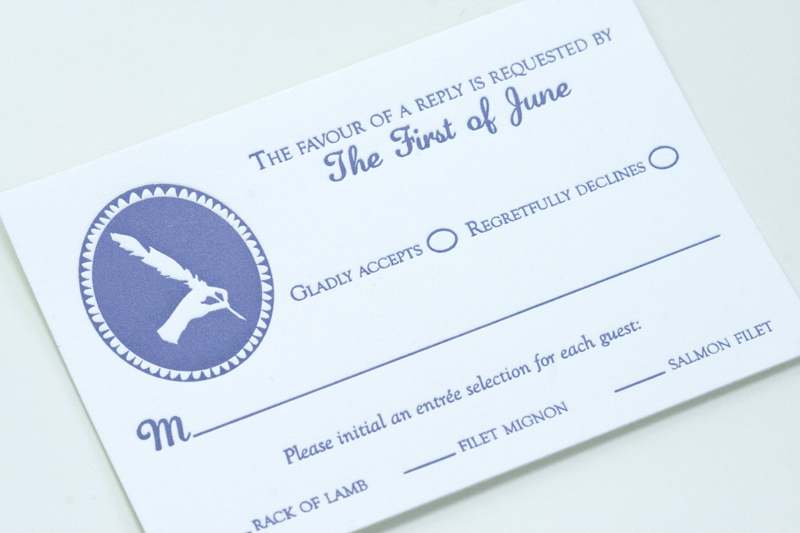 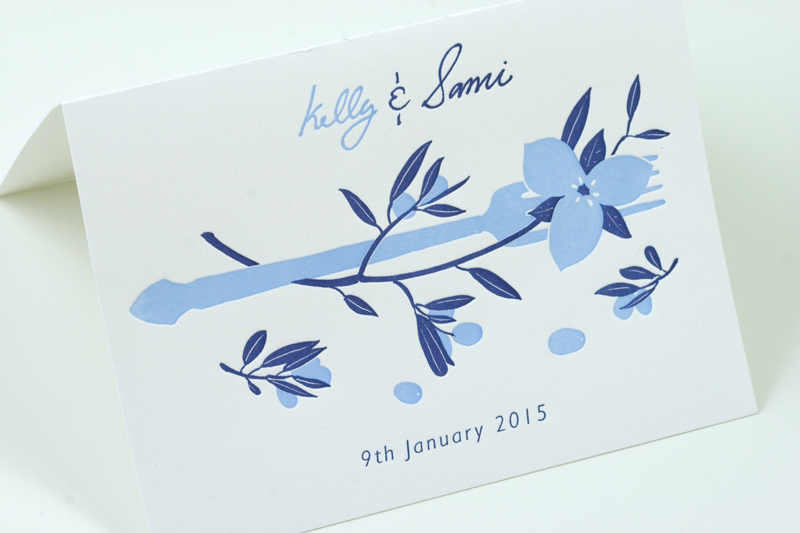 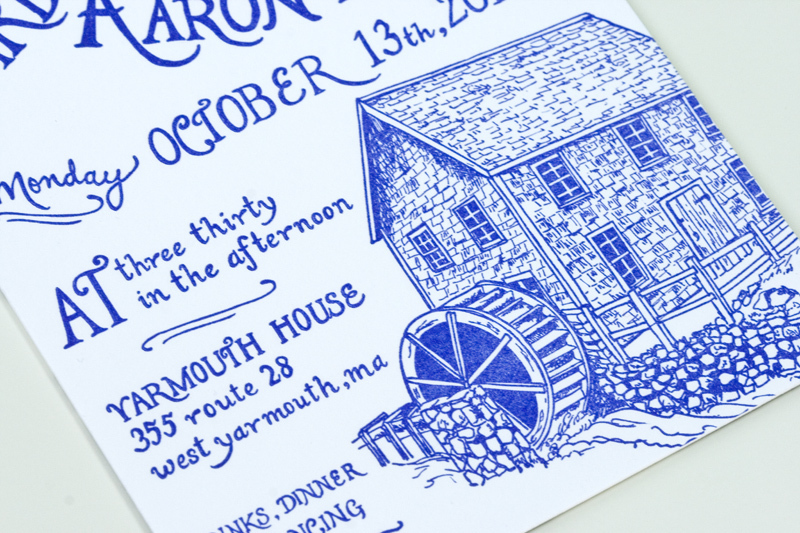 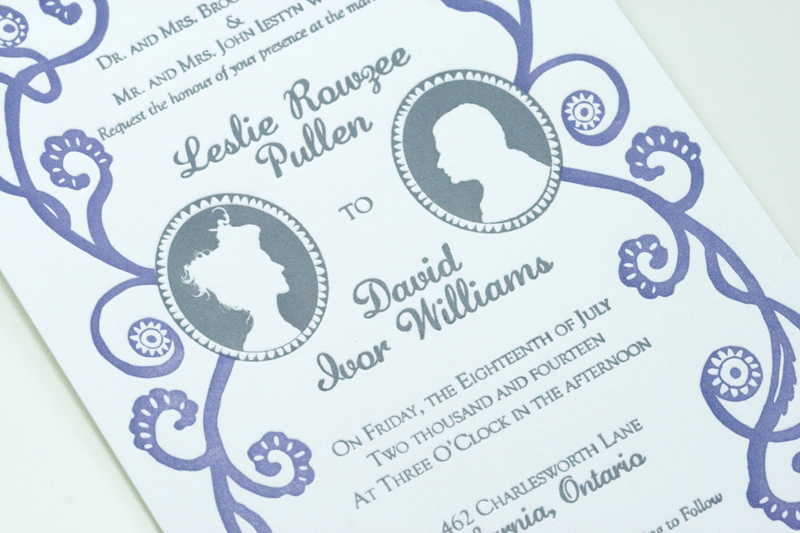 I love the choice of colour and the lovely artwork on this letterpress invitation. 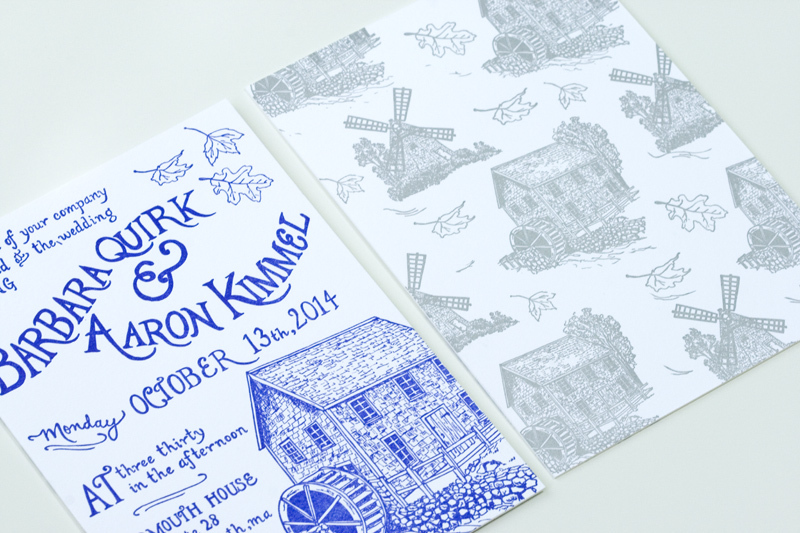 We don’t print many folded wedding announcements any more, but this is a fantastic example of what it can look like. 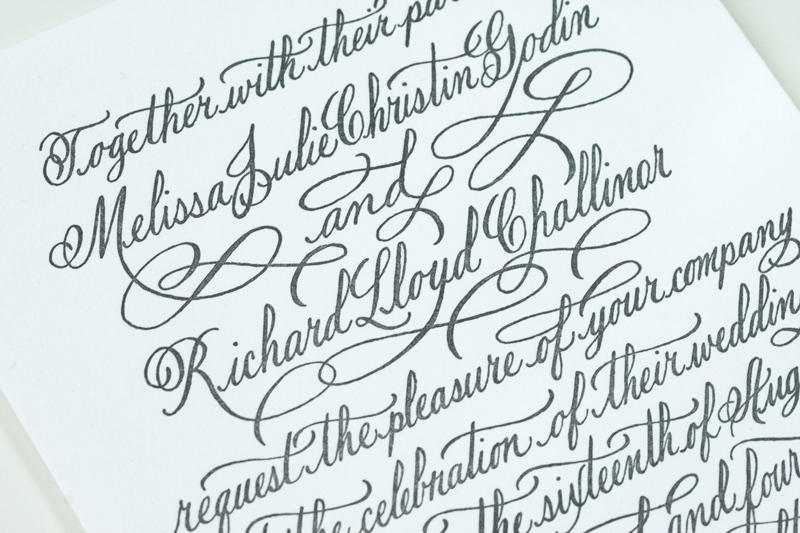 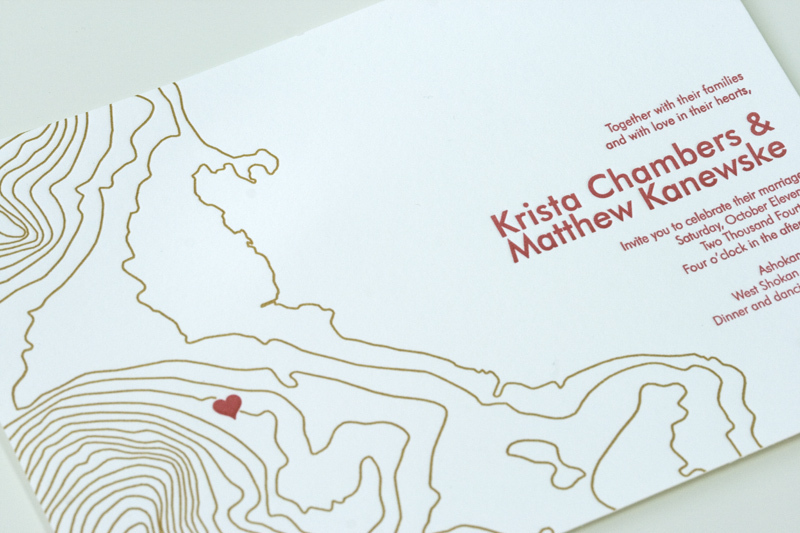 Here is an elegant wedding invitation we printed for Melissa and Richard. 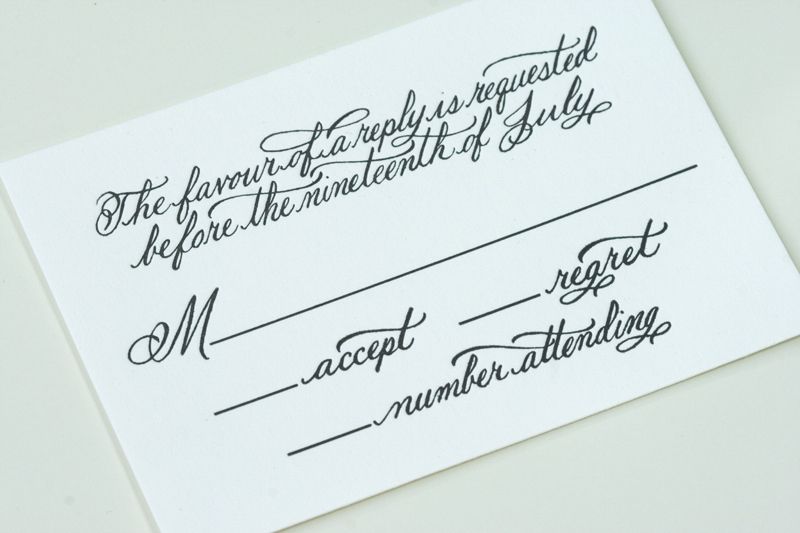 The calligraphy was created by Allison at Allison R. Banks Designs. 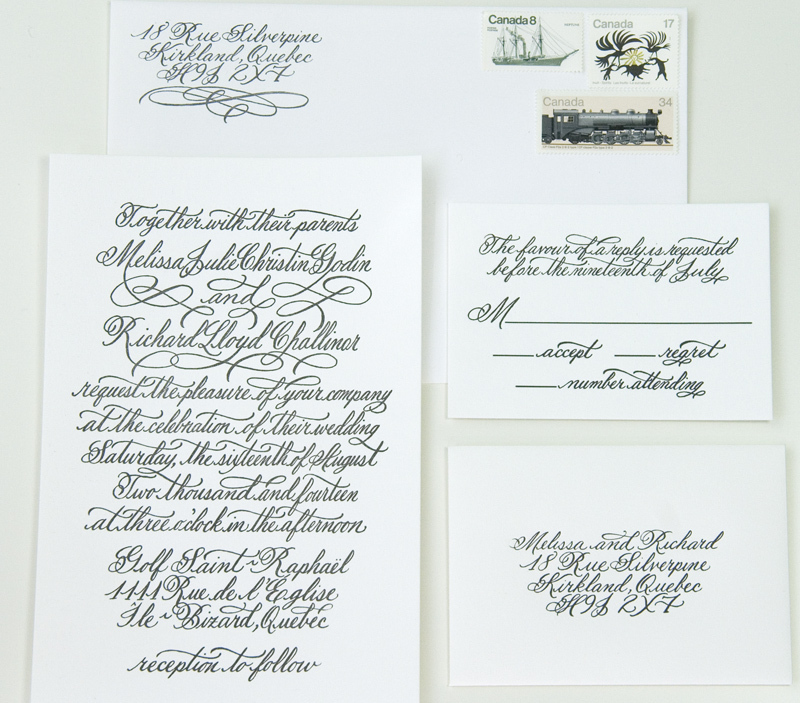 If you love the look of calligraphy, a great idea is to hire a calligrapher to design your invitation suite and then convert it to a digital format so it can be printed in whatever method you want. 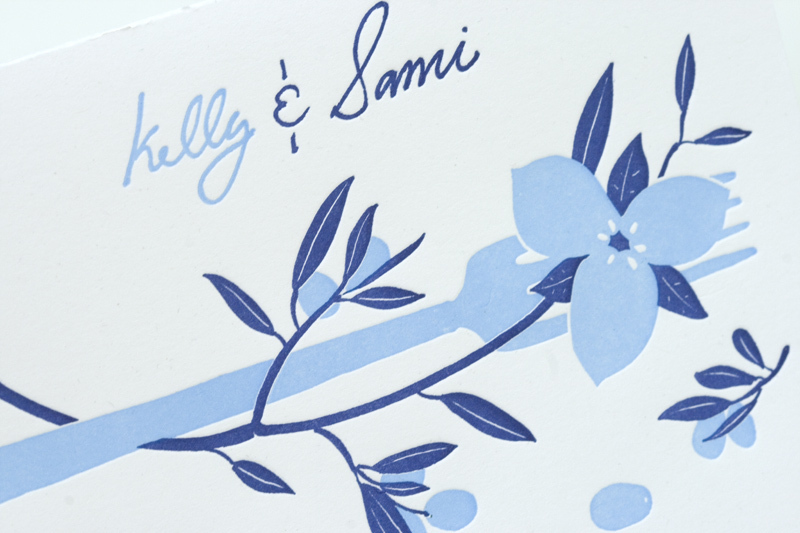 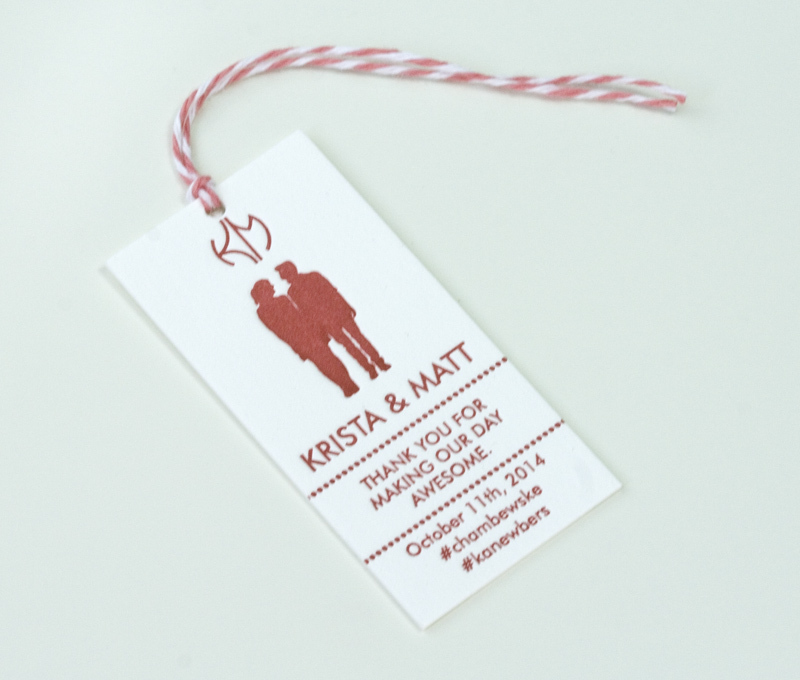 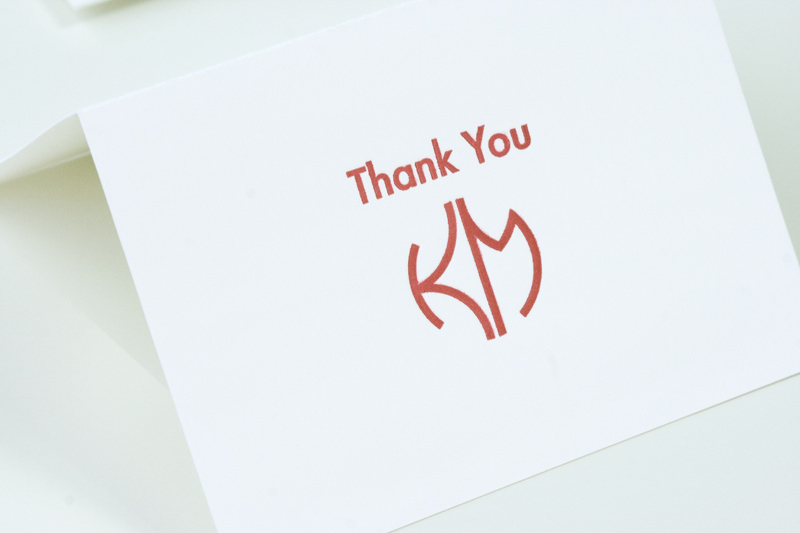 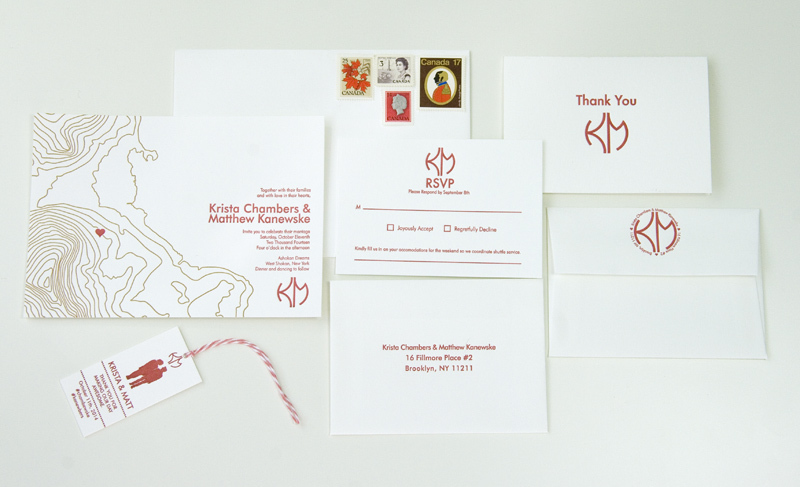 In this case, Melissa wanted calligraphy AND letterpress printing, so we worked with Allison to convert the calligraphy artwork to a letterpress-ready format. 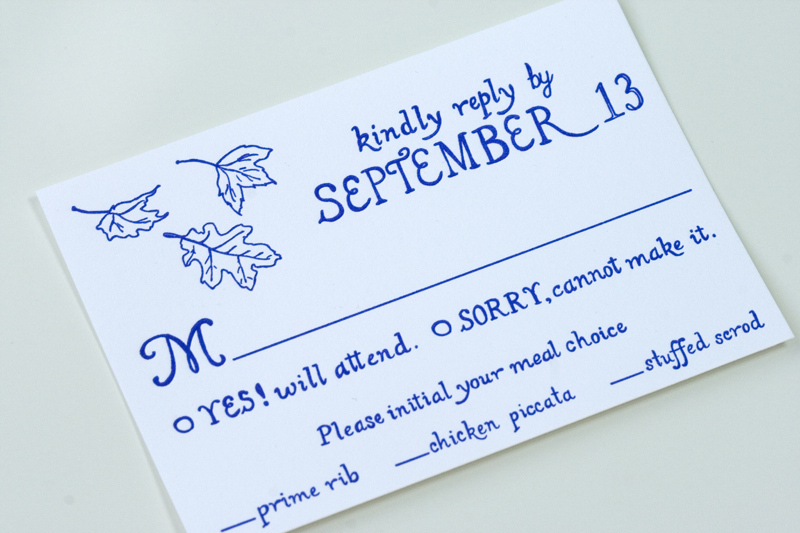 The result is the best of both worlds!